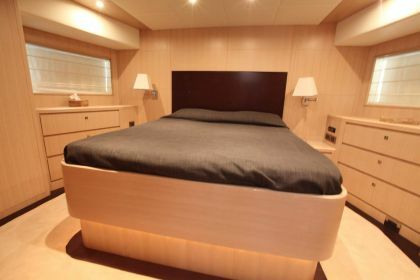 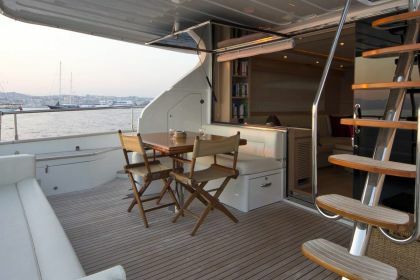 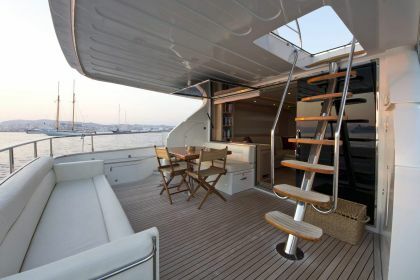 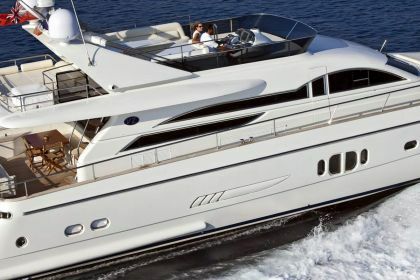 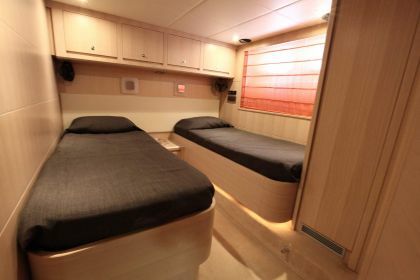 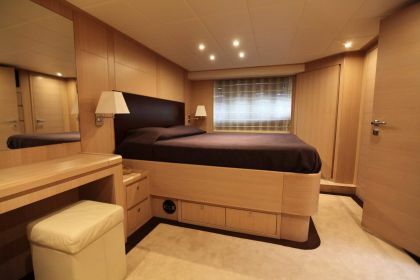 KAMA can accommodate 6 guests in 3 comfortable cabins: Master, VIP, Twin (convertible into one large bed). 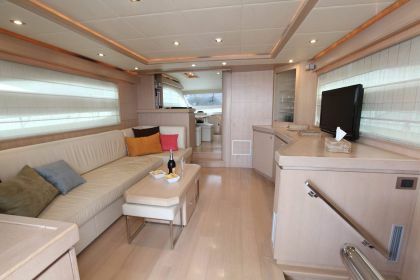 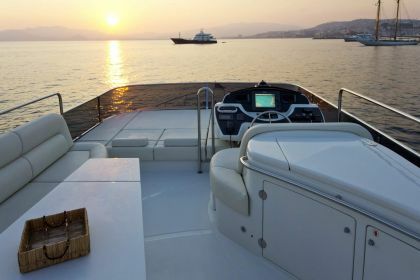 Deck and flybridge Area, aft deck seating for 8 guests, foredeck sunbathing area, flybrigde: BBQ, wet bar, fridge, sink and seating for 6-8 guests. 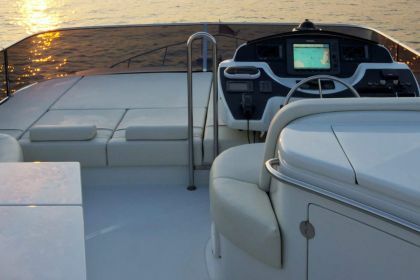 Tenders + toys: Zodiac tender with 40Hp Waterskis Donuts Snorkeling equipment.